We have started planning our Lisbon and Bordeaux trip for next summer. We will start our journey flying into Lisbon, taking a cruise ship to Bordeaux and wrapping up a couple of days in Paris. On the way to Bordeaux we have three additional stops. One stop I am looking forward to is a day in Porto. While there we plan on visiting Taylors Fladgate and having a personal tour while tasting many new and old vintages. 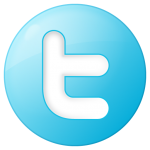 I am a fan of Port and Dave will be on my speed dial in-case there are any that he would like me to pick up for him while I am there. Since we are many months away from the trip I plan on trying many wines from Bordeaux. Starting the journey I decided to try a wine from the Pomeral part of Bordeaux. The Pomeral region is part of the Right Bank of Bordeaux. Bordeaux is divided into two main regions Left bank and Right Bank. Within each region there are what I would call sub divisions or sub regions. Each region or sub region has its own style of wine making. 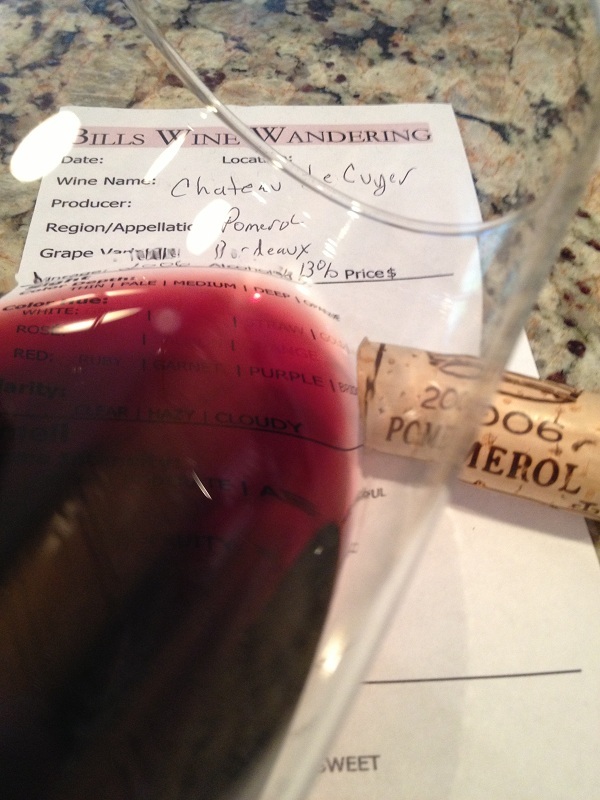 Here are my tasting notes on the 2006 Chateau LeCuyer. Pronounced “Lay Kwee Yair”. The Pomeral red wine had a deep color depth with a garnet hue. Before I swirled my glass the wine was aromatic and smelled middle-aged. It smelled earthy with ripe fruit. The LeCuyer red wine was dry and full-bodied and the acidity was nice and lively. The tannins were medium and were slightly astringent while felt in my mid palate. The flavor intensity was medium and I could taste cherry, toast. and vanilla. The finish long. 85% Merlot and 15% Cabernet Franc. The wine was aged in 100% oak. The vines are forty years old. 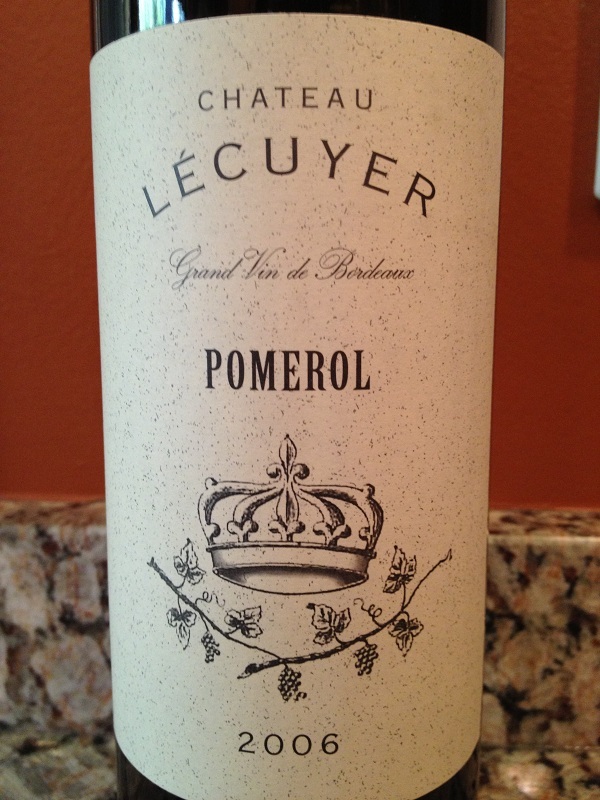 I rated the 2006 Chateau LeCuyer two glasses. I felt the wine may need a little more time. I did try the LeCuyer the next day. The wine was a lot better and I would rate it three glasses if I would have decanted the wine.